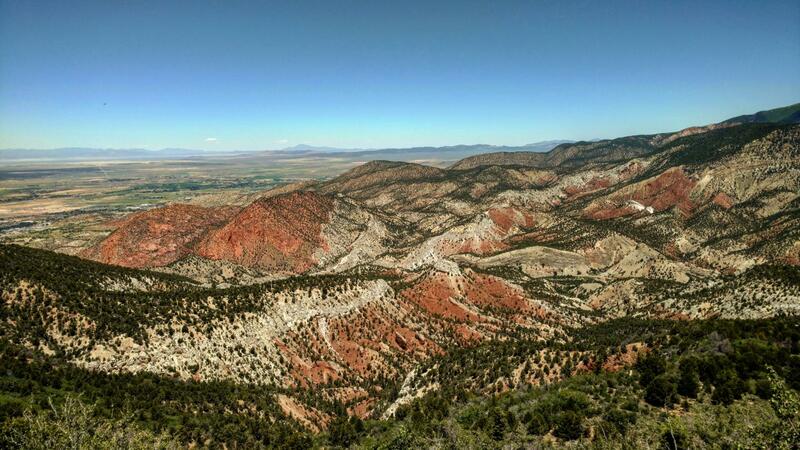 One of 2 spectacular Cedar Canyon climbs in Dixie National Forest tucked into the southwest corner of Utah. Right Hand Canyon - a fork off of Hwy 14 in Cedar Canyon is the home of the climbing competition of the Utah Summer Games out of Cedar City Utah. While a bit less altitude gained on this climb than it's sister climb (the full Cedar Canyon ascent), we do gain 3,300' and the steep grades of this challenging climb are more sustained than on Cedar Canyon. After the first few miles climbing into the deep canyon, we are on the southwest precipice of Lone Tree Mountain the remainder of the climb which affords sustained impressive views of the western plains (Cedar City, Hamiltons Fort) to the right. At the end of a long sweeping left curve (miles 8-9) we are traveling south and pass a small unnamed mountain community of about a dozen houses - the view from here explains why houses were built in such a remote area of southern Utah. Miles 10-11 are a couple of challenging switchbacks which give us a great view back of the road which we have traveled (we love switchback back views). We end in a beautiful aspen lined meadow - if luck serves, you may see elk grazing in this area. Roadway surface and traffic: There is a fair amount of traffic along a very nice road for the first 4.4 miles of the climb. The pavement after turning onto Right Hand Canyon remains good and the traffic decreases to very light - this is a very safe and enjoyable ride.